Before and after the six weeks, the researchers determined the subjects' aggression with a standardized questionnaire, using statements such as "If I have to resort to violence, I will" and "Given enough provocation, I may hit another person". The study participants then had to indicate whether they agreed with this. The lowest possible score was 1: "extremely uncharacteristic or me". The highest possible score was 5: "extremely characteristic of me". 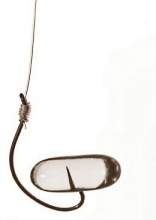 The subjects in the experimental group took 2 capsules of fish oil every day. 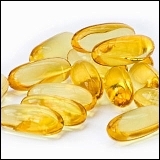 Each capsule contained 319 milligrams of DHA and 386 milligrams of EPA. On a daily basis, the test subjects thus consumed 638 milligrams of DHA and 772 milligrams of EPA. That's 1410 milligrams of omega-3 fatty acids. With such a dose, the placebo group is useless, you might think. If you're in the experimental group, then will notice. Right? However, the researchers write that the subjects could not guess in which group they were. "This experiment suggests that omega-3 administration may reduce physical aggression in the general population", the researchers summarize. "This is an important positive effect or omega-3 supplements, in addition to their many other positive benefits." Young men and women at risk of becoming psychotic can protect their mental health by taking a hefty daily dose of omega-3 fatty acids. In 2003, nutritionists at the University of Lausanne published the results of an experiment in which a three-week course of fish oil kept low the stress hormone levels of subjects exposed to mental stress.